Join us for the Department of Global Health Education's Grand Rounds, as Dr. Adam Law, President of Physicians Scientists & Engineers for Healthy Energy (PSE) speaks on "A Perscription for Planetary Health”. Dr. Adam Law, MD, FRCP is a physician who has been in clinical practice at IthacaMed in Ithaca, NY since 1994 specializing in internal medicine, endocrinology, metabolic medicine, and diabetes. Dr. Law received his medical degree and doctorate in molecular medicine at the University of London. Dr. Law has held post-doctoral fellowships at the University of California, San Francisco and Cornell University in molecular genetics and biochemistry. 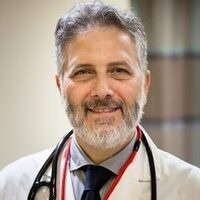 In 2009 he was president of the medical staff at the Cayuga Medical Center and is currently clinical assistant professor of medicine at Weill Cornell Medicine. He bought medical students from WCM to Ithaca for their primary care clerkship and is currently involved in helping to set up a unique medical residency program in rural health. He is a founder and current board president of Physicians, Scientists and Engineers for Healthy Energy, a non-profit that brings science to energy policy. Dr. Law is currently interested in motivating healthcare professionals become an effective public voice on climate change.